Last month, Detroit oncologist, Dr. Farid Fata was sentenced to 45 years in federal prison for violating more than 550 patients’ trust and raking in more than $17 million from fraudulent billings. The doctor, for whatever personal reason he had, faced his patients, many of whom were seeing him for a second opinion, and tricked them into taking more doses of chemotherapy than was medically necessary. I’ve been thinking about this case for a few weeks, theoretically trying to square the circle of my trust of my doctors with that of Fata’s patients. How could this happen? I wonder how many of these patients felt they could fully trust Dr. Fata. Even before I heard of this case, I had been asking my matches, as a Cancer Hope Support Volunteer, how they feel about their medical team. As CHN volunteers, we are not trained to give medical advice, and since I am not remotely qualified, I would never try. I only ask as part of a mini-assessment of how my matches feel overall about their diagnosis, so as to help them in the most complete way possible. I typically will use this topic to make them feel better about seeking a second opinion, if they are worried about this, or, to make them feel good about the fact that they and their families feel like they are on the right track. I was diagnosed with multiple myeloma in October 2010, and shortly thereafter, I was seeing a hematologist I trusted and felt completely safe with. Despite the fact that I had always prided myself on my independence, when it came to the crushing blow of a cancer diagnosis, and near complete disability, I found strength in my ability to let go and give the power of medical decisions to my doctor and my medical team. I must admit, this technique is not a common one, as most Americans, in my experience, want to be much more involved in these decisions, and take a very hands-on approach, compared to my “medical Zen.” In my conversations with Matches, I don’t always explain my approach unless they ask. Mostly, I listen, offer encouragement, answer their questions and try and give them the hope that comes from my voice, un-silenced by my 2010 diagnosis. Since I heard the Dr. Fata story, I have been extra cognizant of the trust my Matches are affording me as a survivor of the same cancer they have. I like to give them kudos for reaching out, and asking for help, which is not always easy to do. 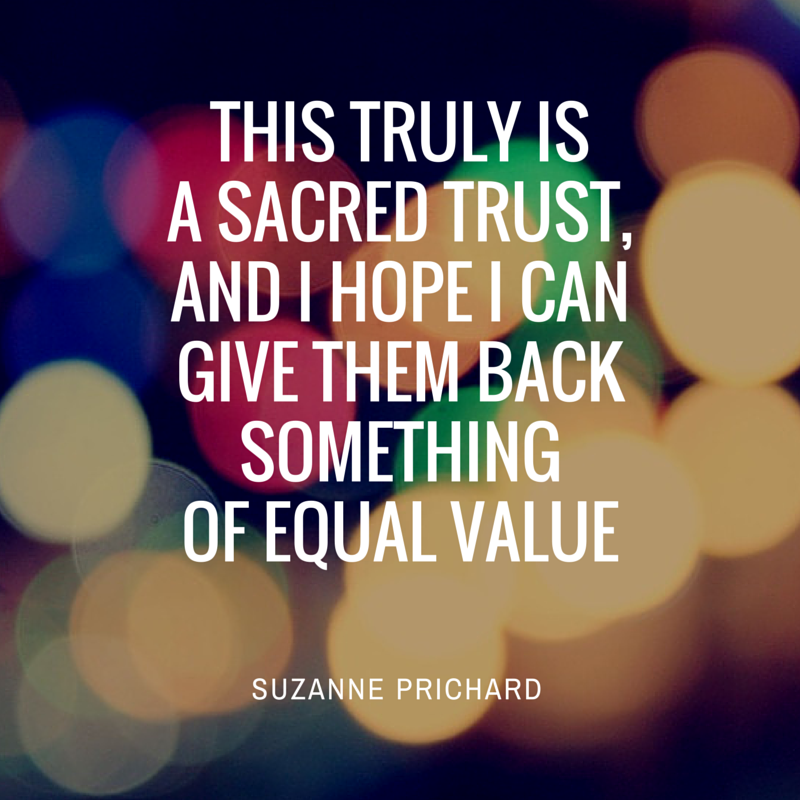 This truly is a sacred trust, and I hope I can give them back something of equal value in our phone conversations. No matter your situation or personal approach, when we can trust those who are helping us with a medical diagnosis, or any health issue, childcare assistance, a personal crisis, or any other challenge, we have a strength we can never have alone. We need to take the leap of faith that the other person will not violate the trust, since I believe most of the time, they will not. For Dr. Fata’s survivors, and the families of his former patients, I hope they can understand this: I hope they can let go of the distrust they must certainly feel, in order to gain the strength to face life’s inevitable challenges. Previous Previous post: Help wanted: giving hope, sharing hope.